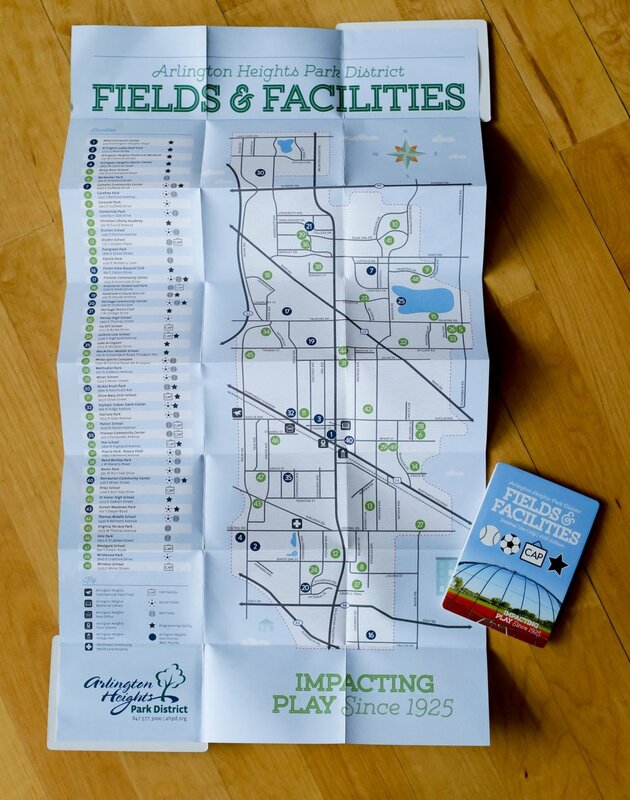 This zcard map design is an evolution of the fabulous and wonderful design by Cinder Design, Co, whom I hired to do a full illustrative map for us August 2015. 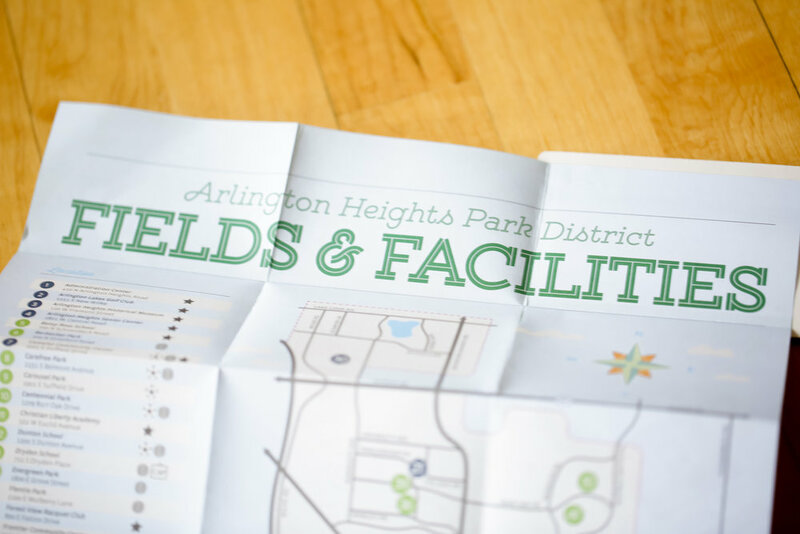 The Arlington Heights Park District had gone through a slow (but steady) rebrand and we were finally finding our voice. Fun, friendly, innovative, playful. 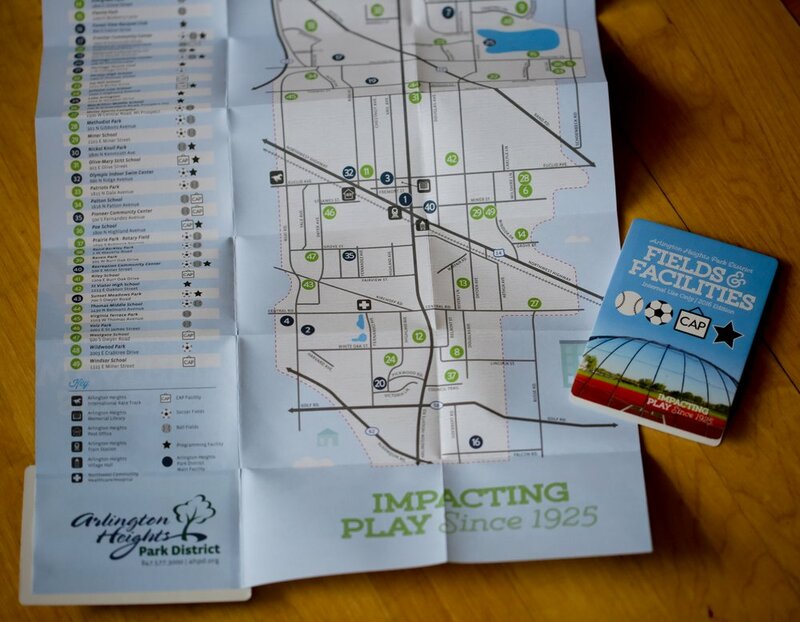 The map that we had been handing out to patrons was no longer fulfilling that role. Locations were outdated and items were missing. The map needed to be updated and gel with the look and feel we wanted to portray to the community. 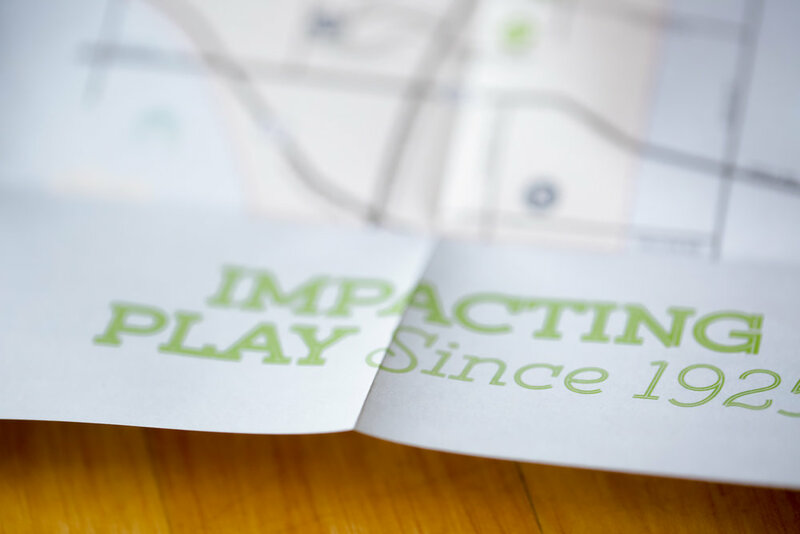 We worked with Cinder Design, Co out of Schenectady, NY to develop a illustrative map within a 3 month timeline. Let me tell you, they nailed it. However, this page isn't about Cinder (sorry, guys). 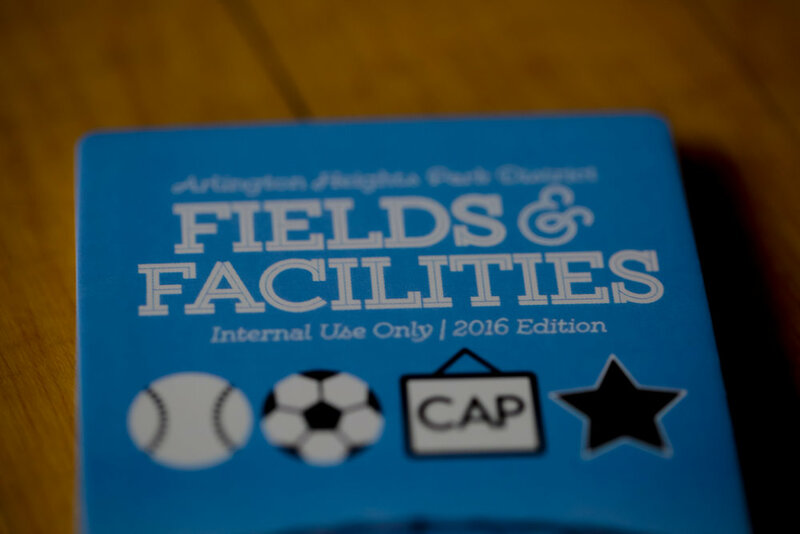 The AHPD Safety Coordinator had need for a map that just highlighted our fields and facilities/safety tips. 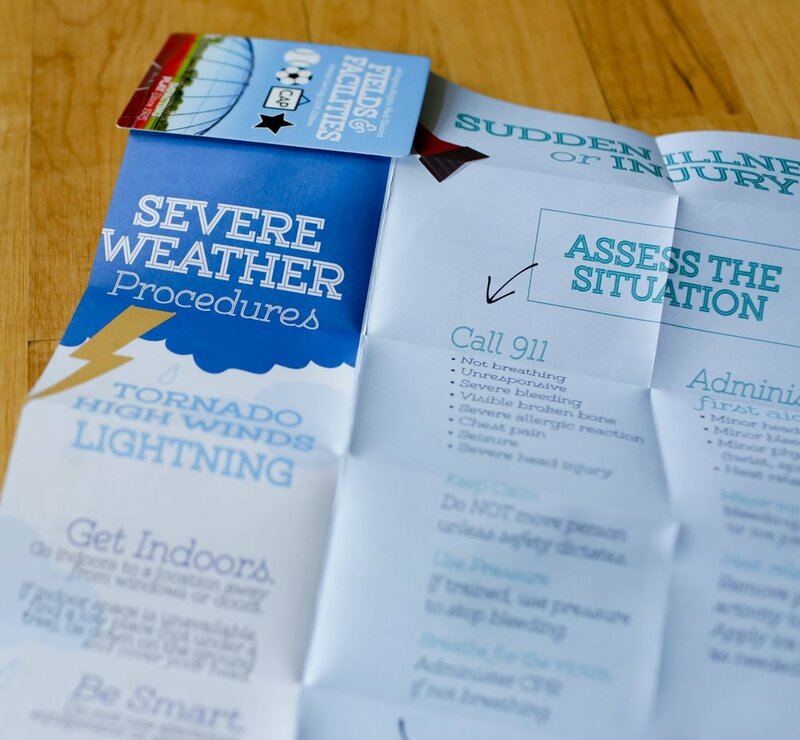 We wanted something staff could carry in their back pocket, throw in their glove box and easily reference.